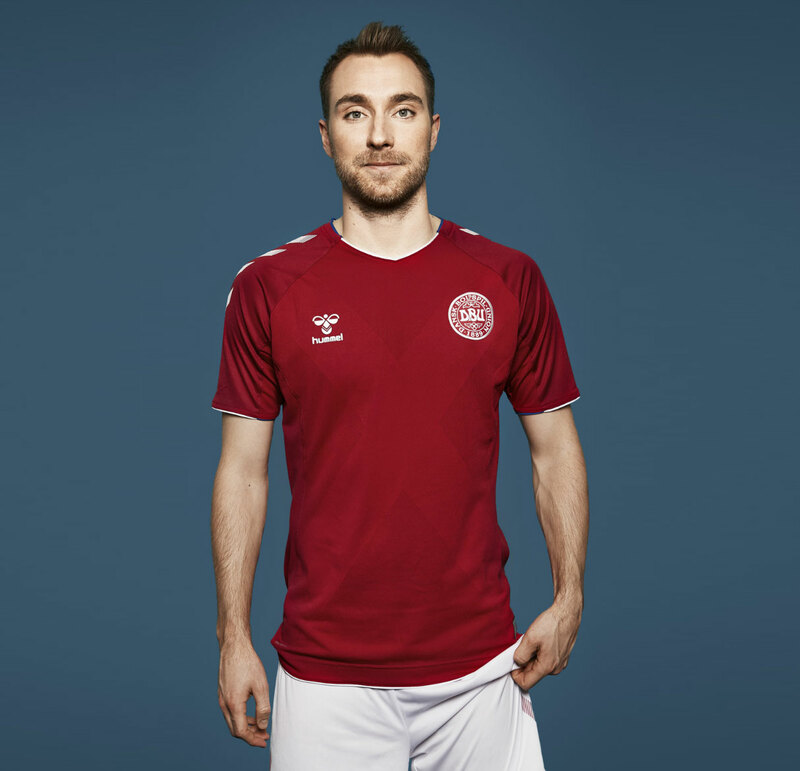 The new Denmark World Cup kits 2018, the Danish national football team’s new home and away shirts for WC 2018 in Russia. 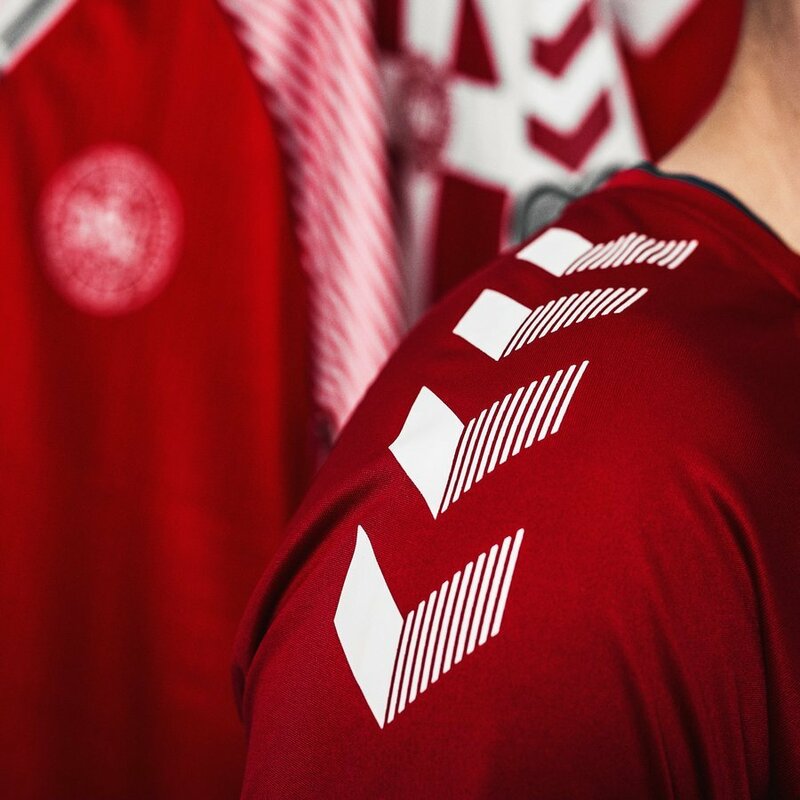 Made by Hummel, the new Danish 2018/19 jerseys were officially unveiled on May 15, 2018. The Danes are in Group C for the World Cup along with Peru, France and Australia. The royal blue colour of the Guards’ uniforms appears at the collar and on the sleeves. 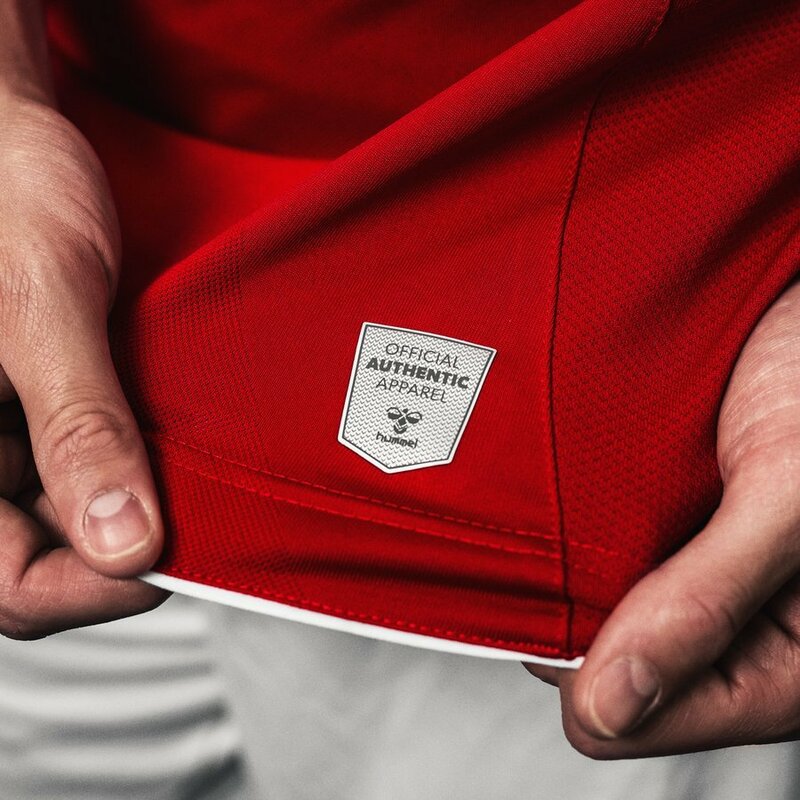 With this, the jersey salutes some of the most iconic Danish national team jerseys through the years, all of which contained blue design elements. Get ready to fight for Denmark – all in red and white! White shorts and predominantly red socks complete the new home kit, with the colours reversed (red shorts and white socks) for the alternate uniform.